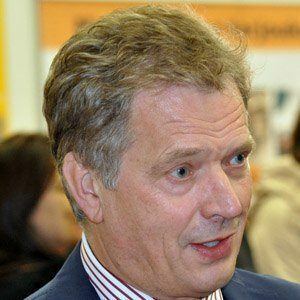 Known for his membership in the National Coalition Party, he took office in 2012 as Finland's twelfth president. Previously, he had served as Deputy Prime Minister, Minister of Justice, Minister of Finance, and Speaker of the Finnish Parliament. After graduating from the University of Turku, he opened a law practice and became a city councilman in Salo, Finland. He was a survivor of the 2004 Indian Ocean tsunami. After his first wife, Marja-Leena Niinisto, was killed in a 1995 automobile accident, he married Finnish poet Jenni Haukio. He and Martti Ahtisaari have both held the office of President of Finland.